Truly a piece of wearable art. 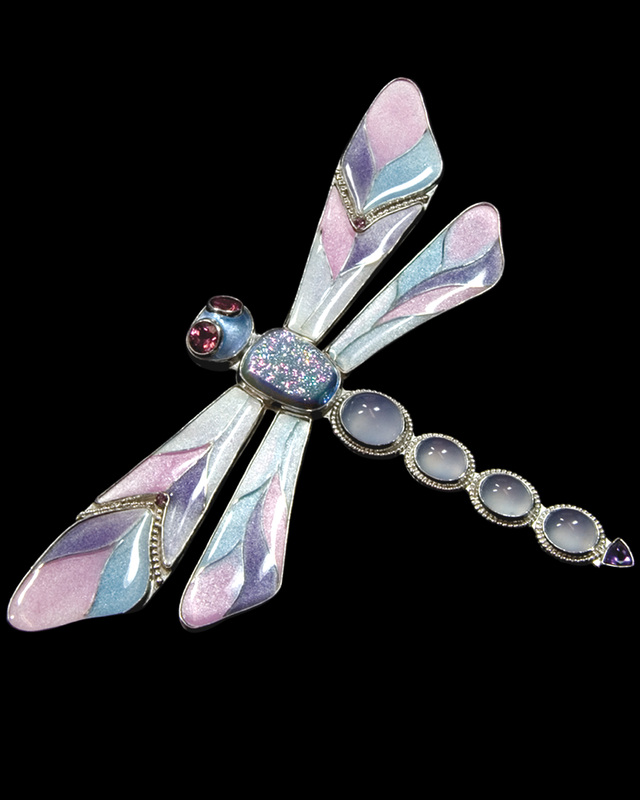 This dragonfly brooch is one of a kind. The head is enameled with faceted 6 mm pink tourmalines for eyes. The body is an opal drusy. It's wings are cloisonne enamel set with tiny pink rhodalite garnets. The tail is made up of four cabachon cut blue chalecedony stones. The tip of it's tail is a trillion cut amethyst. The brooch measures 3" x 4" and is set in sterling silver.